Home » Ecommerce , Online Cash » Why is It So Important To Install A Shopping Cart On Your Business Website? Why is It So Important To Install A Shopping Cart On Your Business Website? Today we'll be sharing an important business technology tip you can use and hope it will take you a step further towards achieving the goals you set on your various businesses. If you have recently uploaded your new official company website to the Internet, you may well have been advised never to do so without including e-commerce elements in its design. These elements include a full online web store complete with shopping cart which you can already see on many other popular eCommerce sites. Both of these, (web store with shopping cart) have quickly become elements of website design that visitors to your page will expect to see already in place when they punch in your URL. Customer convenience is the ultimate key to successful e-commerce. There's a reason why this should be so. If you're going to take the trouble of creating an official business website to represent your company on the Internet, you may as well go the extra step and enable yourself to sell your goods and services directly to the public. Why not give your customers an extra convenience that puts money very quickly into your pocket? In the end, good website designing sense will translate very quickly to good economic sense. This means that the more precise and effective your website design, the more quickly customers will flock to it to buy your goods and services and put money into your account. You will need to adopt the goal of branding your company with an attractive and easily navigable website that enables your customers to do business directly with your company in a safe, secure, and convenient manner. In order to achieve this goal, you will need to give your customers a secure means of purchasing items directly from your website. The simplest, quickest, and most cost effective way to do so is to install an official e-commerce web store on your website. By enabling your customers to purchase goods directly from your web store with their credit card or PayPal account, you also give them the knowledge that you are a credible member of the international industry. 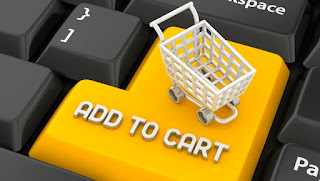 It's important that you install your shopping cart ecommerce software as soon as possible. If you have already put up an official company website, it's crucial that you replace it or modify it in order to include a web store and shopping cart. Enabling your visitors to view all of your goods and then purchase them directly from you is the perfect way to increase the productivity and profitability of your business. The sooner you do so, the sooner you can begin to experience the joy of being able to make money at any time of the day or night, even as you lie asleep in bed. There's no better security than guaranteed money, and no better guarantee of money than an online web store. Giving your customers an online web store and shopping cart is the easiest way to achieve this goal.